You don’t have to be at cruising altitude on “#TravelTuesday” to enjoy one of our favorite onboard cocktails. 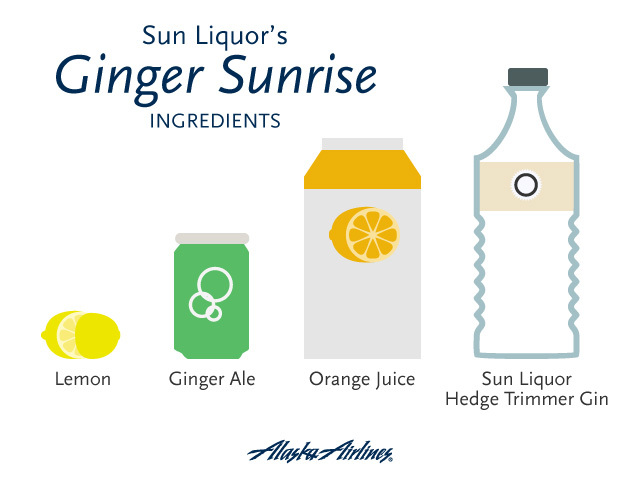 This refreshing take on a classic gin-orange buck (an old name for a cocktail with ginger) is shared by Erik Chapman, barman at Seattle’s Sun Liquor Distillery, a small, local business which produces the premium gin, rum and vodka served onboard Alaska Airlines flights. Flying today? 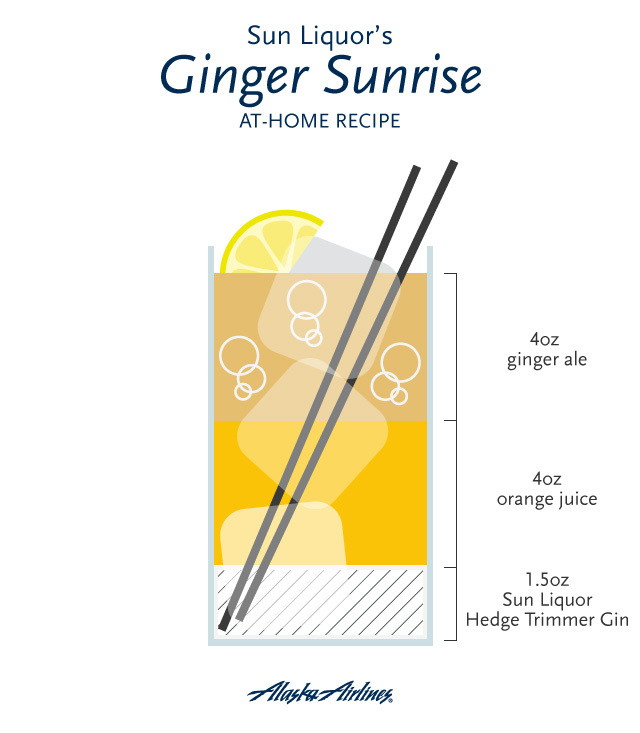 Ask for orange juice and ginger ale with your Sun Liquor Hedge Trimmer Gin – and don’t forget the lemon garnish. He says Sun Liquor’s “Hedge Trimmer Gin,” is infused with botanical flavors during the distilling process, which are enhanced by the flavors of the orange juice and ginger ale. The citrus brings out the angelica, while the ginger brings out the cardamom and coriander. The best part? All four ingredients are available onboard. If you make the drink at home, Chapman recommends using fresh-squeezed juice and experimenting with different kinds of ginger ale and ginger beer until you find a mix with the right amount of bite. Sun Liquor UNXLD Vodka, Sun Liquor Hedge Trimmer Gin, and Sun Liquor Sun Rum Silver, along with another local favorite, Crater Lake Hazelnut Espresso Vodka, and Courvoisier Cognac are premium liquors available to purchase onboard for $7. The micro-distillery has two locations on Seattle’s Capitol Hill. It’s owned by Michael Klebeck, co-founder of another hyper-Seattle brand: Top Pot Doughnuts. Sun Liquor has been flying since September 2013, and is part of Alaska’s ongoing commitment to feature locally sourced food and beverage onboard.